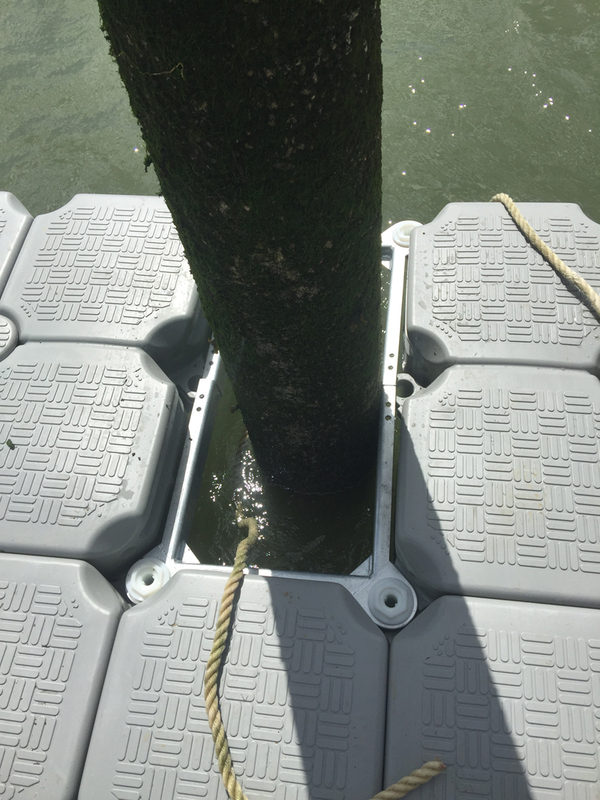 The West Mersea Yacht Club owns a number of piles in the river which are used for visitor berths. 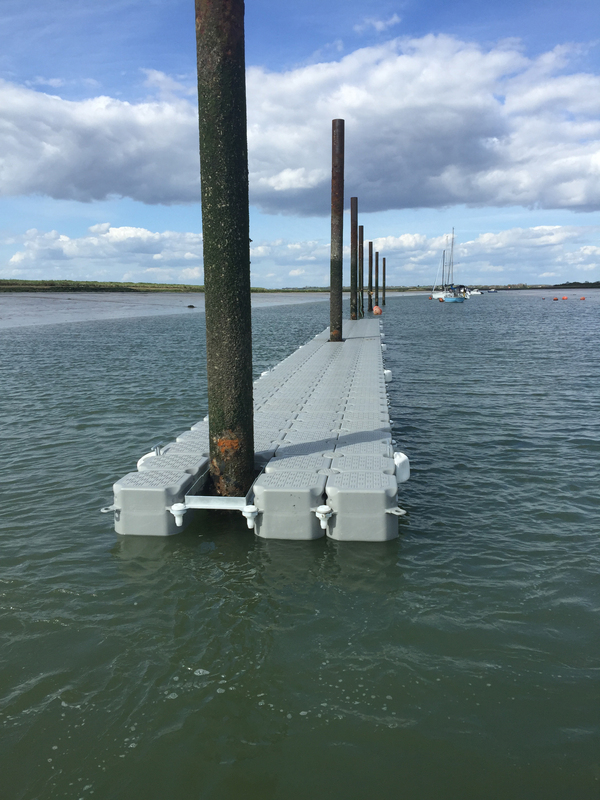 The new pontoons will allow easier berthing for more visitors as well as safe and easy pick up and drop off from the shore. 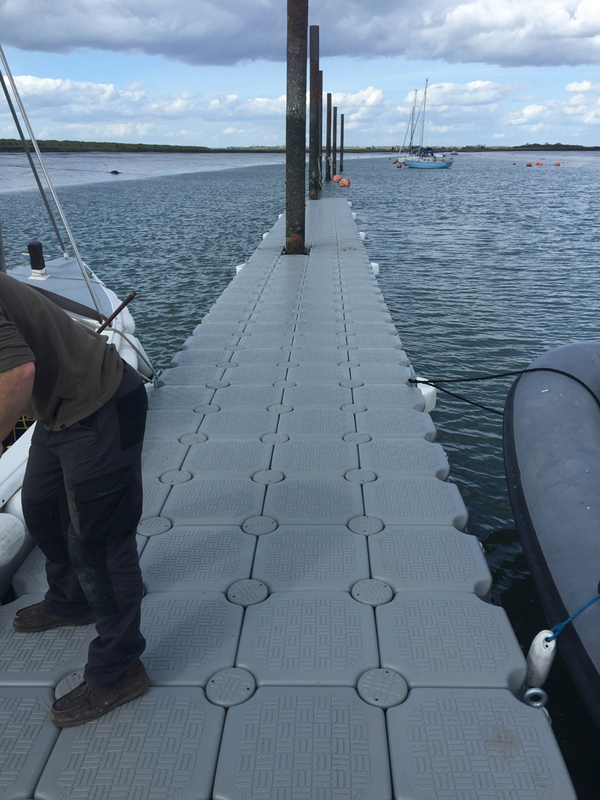 The yacht club wanted a system that would come out of the water in the winter, so it needed to be easy to split and tow in by RIB. 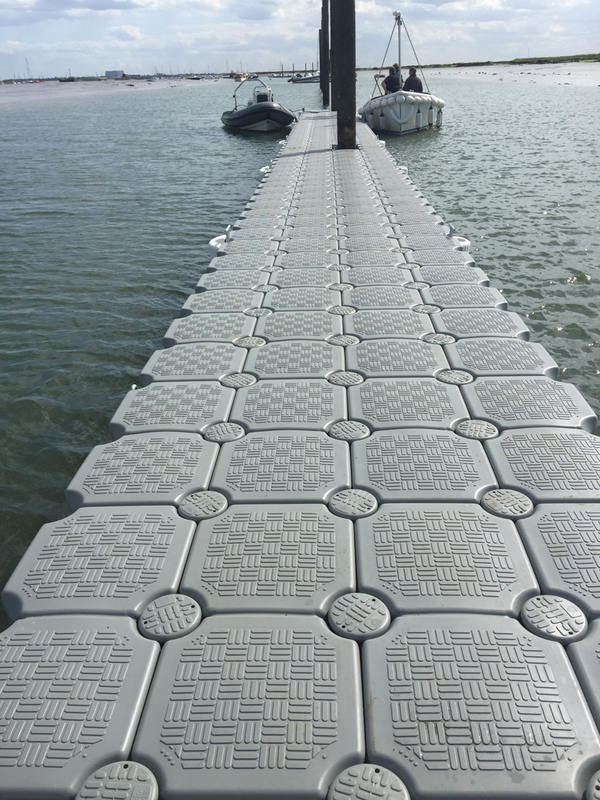 The VersaDock solution is better than wooden pontoon, because of it’s versatility and manageability. 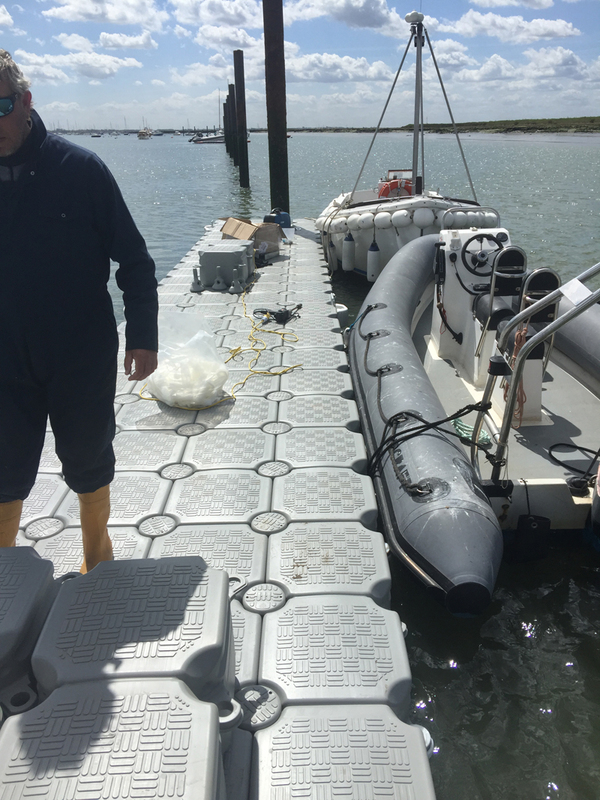 It is now much easier for for the club launch to collect people off their yachts as it can come alongside the dock itself, which is a rock solid platform for owners and crews.